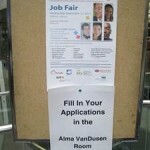 One tool that more small companies should be utilizing is a Job Fair. Job Fairs allow you to quickly conduct miniature informal interviews with any potential applicants that are often much more effective for deciding if a candidate would be a good fit for your company than traditional application processes. 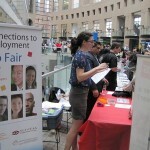 Career Fairs are such useful resources which can be wasted or misused by so many job seekers. Make sure youâ€™re not one of them by becoming proactive when it comes to finding fairs and preparing for the event. If this is done well, your chances of success at finding a job will improve dramatically.